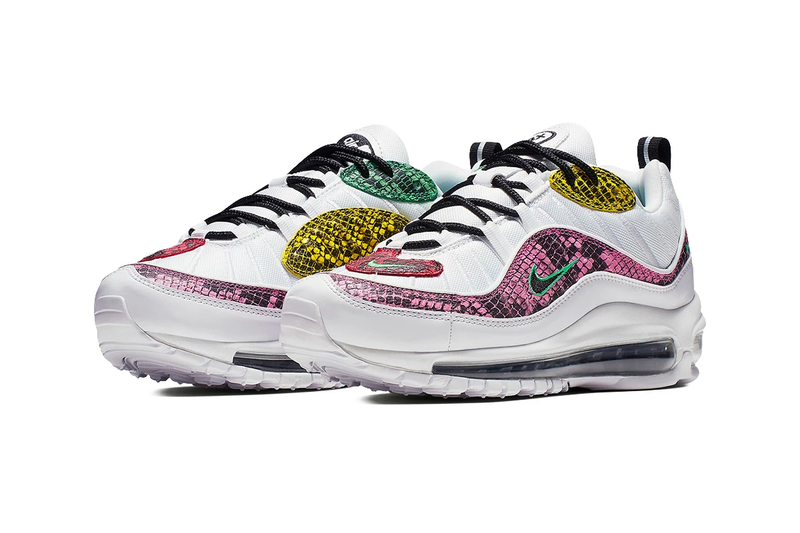 Nike has just given their Air Max 98s a multi-colored polychromatic snakeskin makeover. This latest iteration boasts a futuristic look with its lab-white base color and the translucent Air unit. Abstract-shaped python skin overlays in Warhol-inspired green, red, yellow and pink are scattered across the uppers, while hits of black on the heel strap and the laces, and a green-outlined Swoosh finalize the design.